I am delighted to see that a movie has been made about Dunkirk, a crucial event in the Allied Victory over the Nazis, which is well-known in Britain, but nowhere else. One of my great-uncles, Reg Durward, an ambulance corpsman with the British Expeditionary Force, was one of the last British soldiers to be rescued from the beach at Dunkirk . 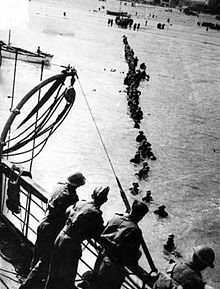 Three hundred thirty-eight thousand British soldiers and 30,000 French soldiers were rescued by a flotilla of “little boats,” that set sail from England to save them from certain death by the Nazi strafing. The two uncles of one of my uncles were among the civilians who sailed their own boats to rescue these men, including my great-uncle Reg. Late May, 1940, was a desperate time for the Allies. France, Denmark, Luxembourg, and Norway had been invaded by the Germans, and Holland and Belgium had formally surrendered. Neither the Soviets nor the Americans were in the war yet; the Soviet Union had a non-aggression pact with the Nazis, and America maintained its neutrality for another year-and-a-half until December 7, 1941, when the Japanese bombed Pearl Harbor. By late May, 1940, Britain was standing alone against the Nazis. Strafed by the Luftwaffe, hopelessly outgunned by the German Army, the 338,000 troops of the British Expeditionary Forces and the 30,000 French soldiers retreated to the beaches of Dunkirk, France. There was little hope of rescue because the water was too shallow for British destroyers to navigate. A call went out from the British Admiralty for small boats to be used to rescue the trapped British and French soldiers. 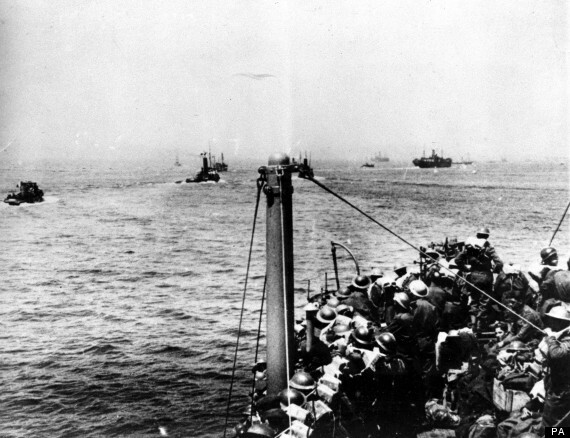 Over 900 boats–pleasure boats, fishing smacks, trawlers, lifeboats, paddle steamers and many other types of craft, captained by sailors of the Royal Navy and by ordinary civilians like my uncle’s uncles–set sail to save these men by transporting them back to England or getting them onto British destroyers. Standing in shoulder-high water for hours, the men waited to be rescued by the little boats. This was a defining moment of World War II, which Winston Churchill called “a miracle of deliverance,” in which the lives of those who were “the whole root and core and brain of the British Army” were saved. 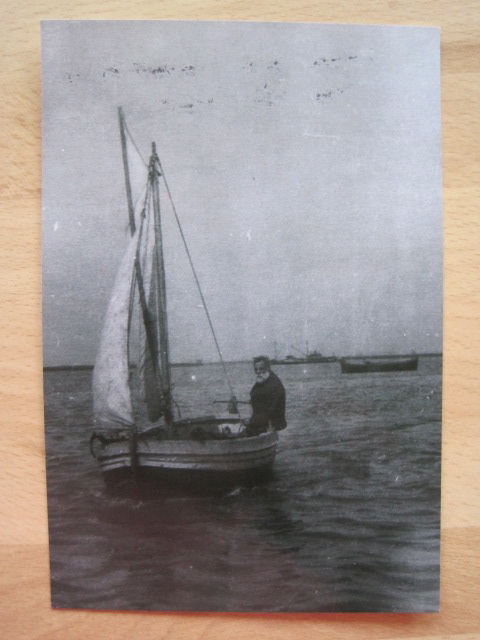 Recently I was talking about the “little boats” with one of my aunts and uncles, when my uncle left the room and returned with a photograph of a man in a small boat. It was his uncle, a man named Brightman who, with his own brother, sailed their boat to Dunkirk to help rescue British troops. Brightman, one of the civilians who rescued British soldiers at Dunkirk using his own “little boat.” Courtesy of Ian Wellby. Can you imagine what it was like for the Brightman brothers to set sail on a tiny boat into a war zone, and to carry back wounded soldiers? It must have taken extraordinary courage to have done this, especially for the civilians who volunteered, and yet there were many of them willing to risk their lives to save the lives of others. I watched the first two videos (link to third one just takes you to the second one). You’re right. It was a defining moment for Britain. 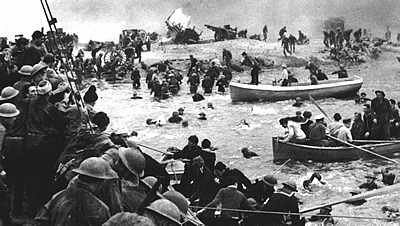 We still talk about “Dunkirk spirit”, our ability to make a victory out of defeat, to be stoic, to smile through it all. I think it’s time we, as a nation, moved on, though. Living away for 5 years has made me see how obsessed we are with the first and second world wars. I don’t want my children to grow up with that burden. The first world war was nearly 100 years ago now. Yes, it’s important to remember, and we have Remembrance Sunday for that. But otherwise, I think we need to let go of the past. Did we really need 2 minutes’ silence in the opening ceremony of the Olympics, for example? It’s a strange mix of pride and guilt. You make a really interesting comment about not being able to let go of the past because it can really hold you back unless you can both remember and move on (easy to say, hard to do). I remember a famous quote that goes something like this: Those who cannot remember the past are condemned to repeat it. I’d like to think that while there are services of remembrance going on, people are also thinking about the wars we are in currently or are just getting out of (Afghanistan and Iraq leap to mind) and all the other terrible messes around the world and especially in the Middle East. But if all people are doing is remembering WWI and WWII, then the point of the memorials is definitely limited to a very distant past. Thanks for writing, you made me think! Interesting essay and comments. 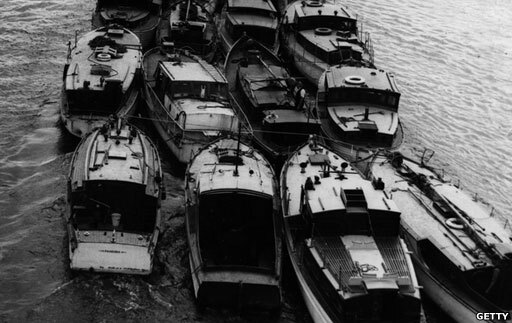 I had never heard of the flotilla of little boats before. Thank you for writing this. I don’t think we should ever forget the sacrifice made by any generation who has gone to war for their country. My Father was a soldier in WWII. He left home at age 19. He was an only child who grew up on a farm in the middle of nowhere. He was an introverted person; a lover of books, coin and stamp collecting, and animals. I can only imagine how this was for him to leave his home, travel to the port he left from, and ship out on a massive boat with thousands of other soliders. Then to serve in Germany and see the horrific things that he saw as a result of war. As a child I only once ever heard him mention the war. And that was to say his ear drums were permanently damaged. I remember those who serve and have served because I grew up free and unthreatened. I am thankful for all my freedoms, to be able to sit and write my opinion and not worry about doing it. I once visited Paris and was in a Metro station, studying the map, not knowing which direction I needed to go. An elderly gentlemen came over and asked me if he could help me with directions. He helped me and then insisted on walking with me to where I was to get on the Metro. When we got to the platform, just before he walked away, he told me that he was forever grateful for the the help of the people of other countries during WWII to liberate France. He helped methat day because he felt that it was a small measure of thanks to someone from a country that saved his. Someone else once said, “freedome is not free.” That is why I remember the veterans who have served in all wars. Thank you again for an interesting article that also made me think and remember. This is a lovely remembrance, and you’re right, freedom is not free, it has to be fought for every day. Thank God the British and the Allies won World War II or we would be growing up in a Europe, and perhaps a world, ruled by Fascism. Thank you so much for writing.